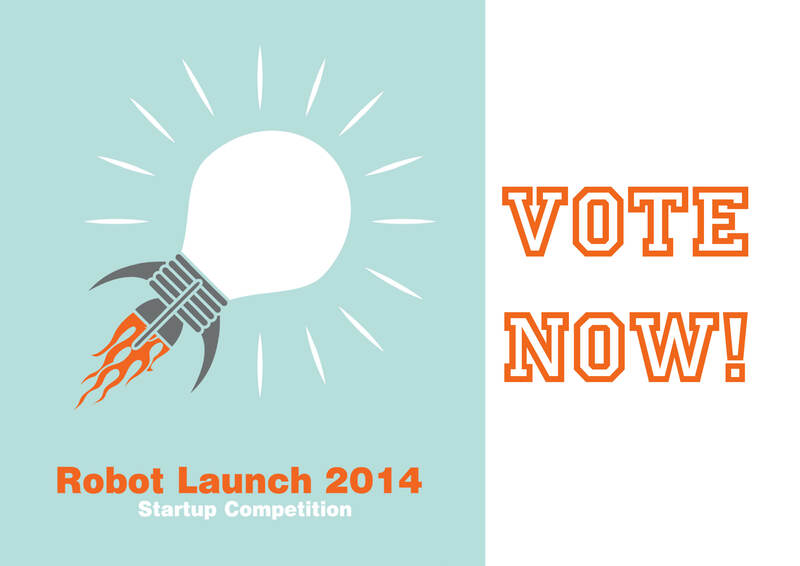 Robot Launch 2014 finalists announced – LET'S TALK ROBOTS! Today we announce the six finalists from Robot Launch who will be presenting their pitches online live to a panel of expert judges on Tuesday May 20 at 10am PDT. Join us then to see who takes home the ultimate champion crown! The six highest scoring startups from our Top 30 are (alphabetically): DoBots, Duct Inspection Robot, Leka, Odd I/O, Robotic Technologies of Tennessee and Tandemech Engineering. In the meantime, Robohub readers can also vote right here for the “People’s Choice” startup from the Robot Launch competition. 3DOF Robotics have a VTOL aerial vehicle capable of shared autonomy for inspection of vertical structures difficult or dangerous for human inspection. Individuals and business owners are in constant need of ways to increase their productivity. We are addressing these demands with a capable robotic tool. Aisoy makes technology feel. We create smart social robots for making our lives easier and more fun. Cubotix builds service robots for everybody and targets domestic and professional use cases. Our goal is to squeeze years of autonomous robot research into affordable consumer platforms – first as an educational platform for advanced robotics, then for dedicated tasks in homes and in the field. We take the complexity out of robotics software and enable everybody to use our robots. DoBots builds services for groups of robots. Our software allows the robots to coordinate and cooperate and report their progress to human supervisors. The first service that will be commercially deployed is a coordination service for robots that are cleaning a supermarket. DuctBot is rugged toy-car-sized robot used for cleaning and inspecting air duct in central air conditioned environment like ships, submarines, operation theaters, clean rooms, home and offices. We are developing Gimball, a game-changing flying robot that can be flown indoors and in complex environments: it can stay stable after collisions with obstacles and can thus go where other robots can’t. Furthermore, it is safe to fly close to humans. This innovation turns robots into real partners for humans and truly unleashes the potential of flying robots by enabling countless new applications. In the US alone, over 140,000 quadriplegics require the constant attention of expensive in-home caregivers. Our mission is to create an affordable mobile robotic assistant that will provide these people with greater independence and an improved quality of life. We have a prototype, called Jammster, that consists of a dual-arm human friendly robot that has been mounted on a mobile base. Robotswim is a start-up whose objective is to put artificial life in aquariums and pools around the world. The flagship product, Jessiko, is 22 cm long and can swim in a school of 10 or more robots, to create entertaining aquatic choreography and light effects. We have developed an affordable home health care robot for seniors that can provide telecommunications to doctors from the safety and security of their home, assistive features such as medication reminders and safety features in the event of an emergency. Leka is a young startup that develops smart and innovative toys for children with communication and social disabilities. At Sproutel we use emotional robots to make patient education friendly for children diagnosed with a chronic illness. Our first product Jerry the Bear, is a completely interactive teddy bear that enables kids with Type 1 diabetes to master their medical procedures, ultimately resulting in smiling faces and improved outcomes. RoboTar is the first Portable robotic chord hand for guitar. It is a device paired with software running in a laptop or Android device to play guitar using only a one hand to strum or pick and a foot pedal or single push button to change chords. Tandemech Engineering is a California-based robotics startup, focusing on wall-climbing robotic platforms. The technology we have developed has allowed our proof-of-concept to outperform any wall-climber ever developed. We hope to continue to adapt our technology into vehicles to deploy testing, inspection, and potentially even manufacturing equipment into places that have previously been prohibitive to access. Who is your favorite robot startup?